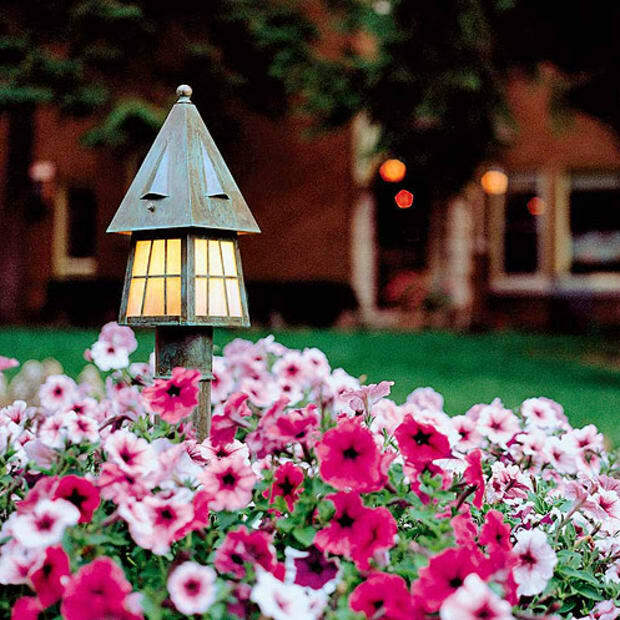 A refreshed and updated Bungalow stays true to its Arts & Crafts character. 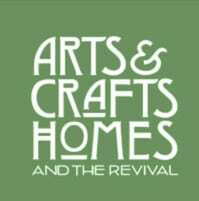 When I bought my Bungalow 20 years ago, I didn’t know much about Arts and Crafts. I was just looking for a comfortable home, something simple that I could afford on a teacher’s salary. 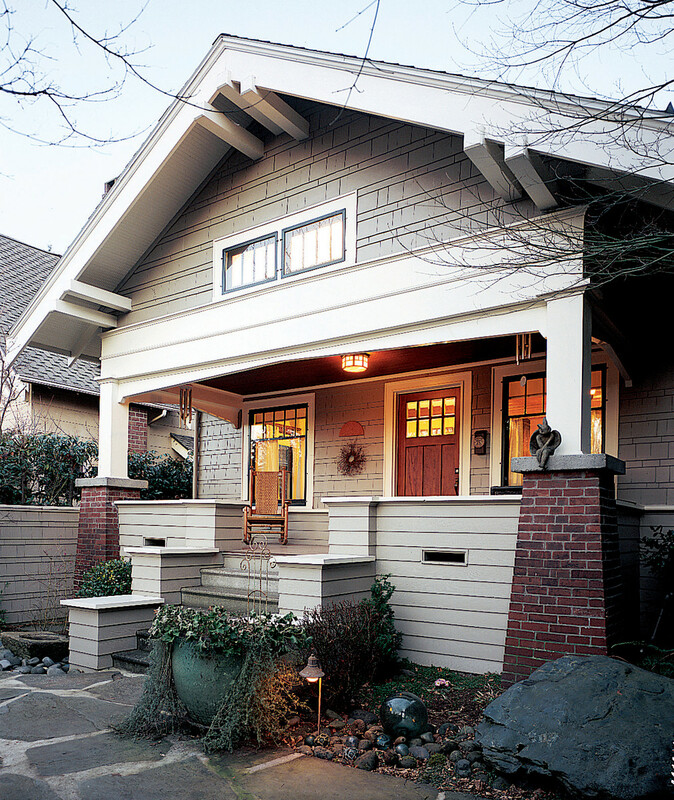 Hallmarks of the Bungalow style include tapered brick piers, a deep front gable, and a welcoming porch. 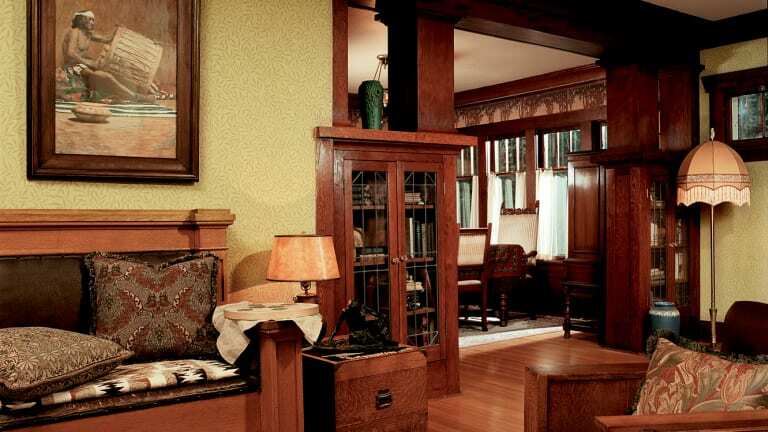 The 1916 Craftsman-style house on Seattle Queen Anne Hill fit the bill. In spite of peeling, floral wallpapers, and a tiny, cramped, Fifites kitchen, the house had great curb appeal: a handsome front gable, with wide, projecting eaves and a generous front porch perfect for enjoying the afternoon sun. 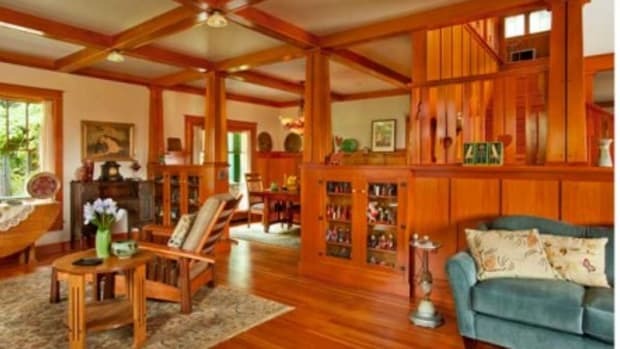 Inside, the fir woodwork—never painted—had aged to a rich and warm, golden-red hue and the living room featured built in, leaded-glass bookcases. 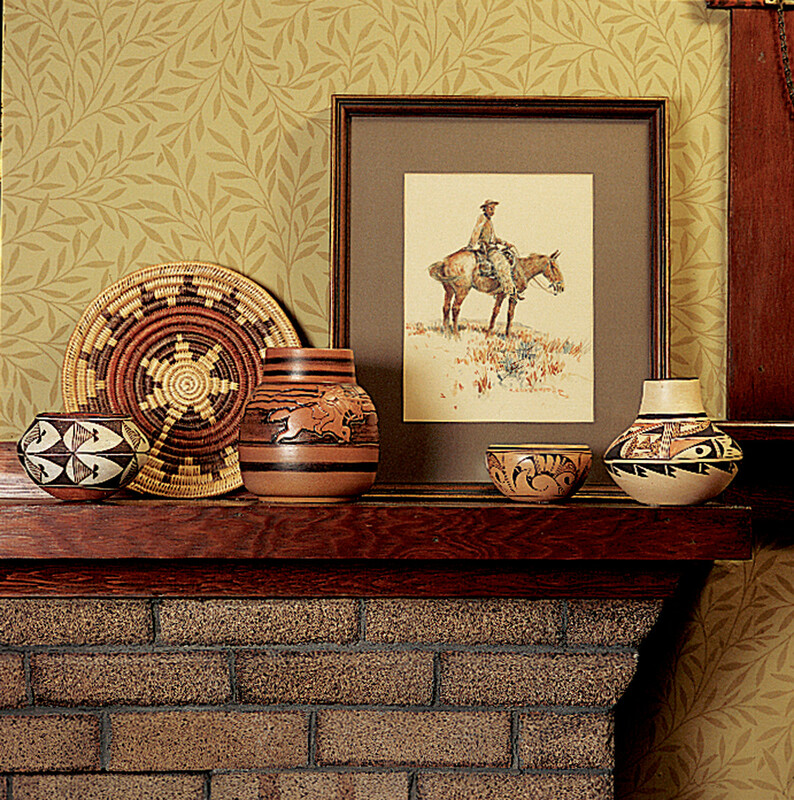 The mantel displays the owners’ collection of Native American baskets and pottery. There was plenty to do, of course: replace the knob-and-tube wiring, update the plumbing and extract the mammoth furnace from the basement. 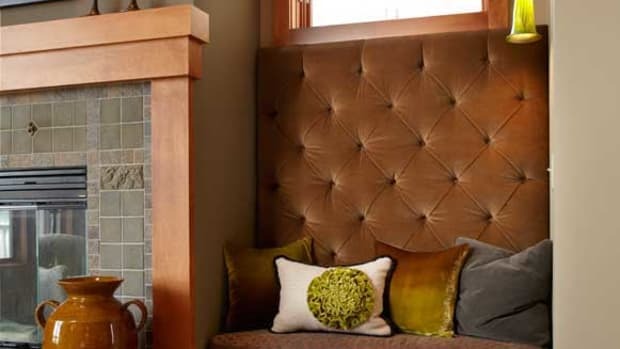 We left the ornate, cast- iron radiators in place, they provide a moist, even heat that houseplants love. 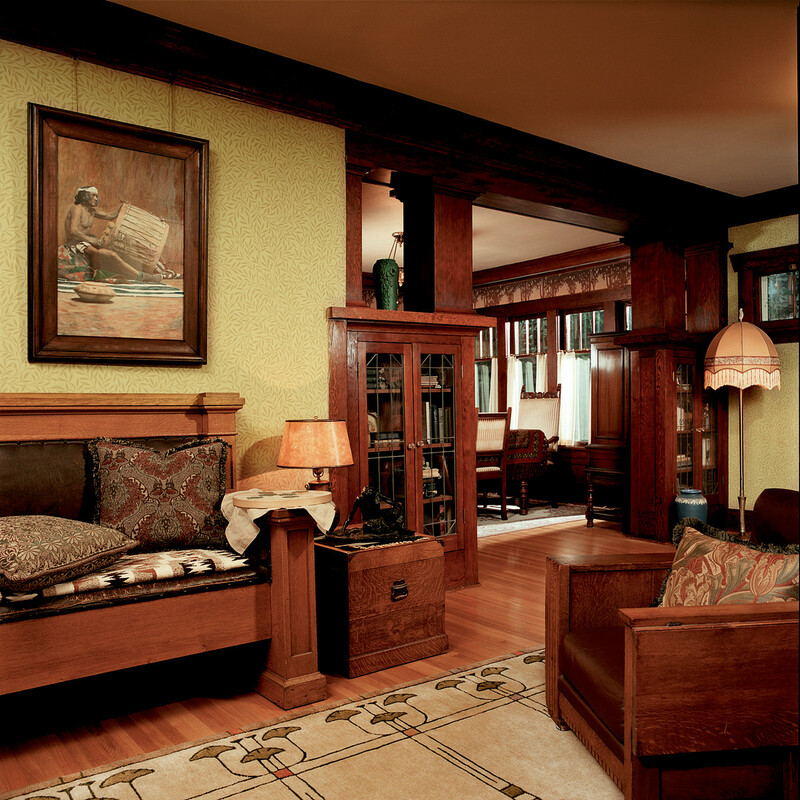 But my partner Barb Griffin and I never seemed to get around to updating the interior—that is until we met Seattle interior designer Laurie Taylor and architectural designer Clint Miller who together specialize in restorations of Arts & Crafts homes. They not only helped us to rethink the house, but also taught us some of the philosophy behind it’s construction and design. 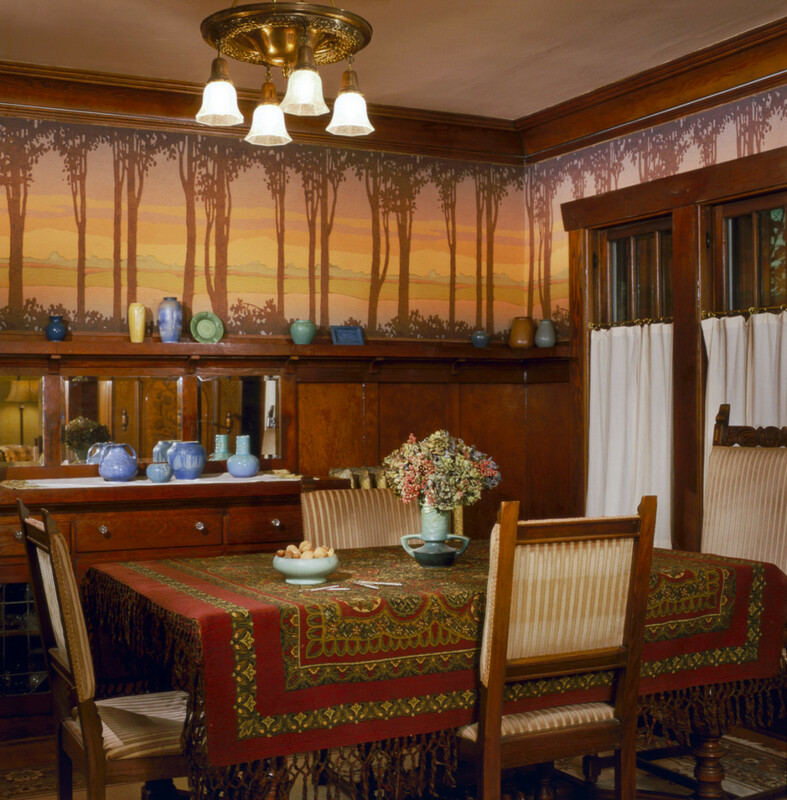 A digitally printed Bradbury & Bradbury frieze of a silhouetted forest was commissioned for the dining room. Simply introducing period colors—soft, Aesthetic greens, autumnal browns, and yellows, and harvest reds and golds—brought out the beauty of the red fir woodwork. 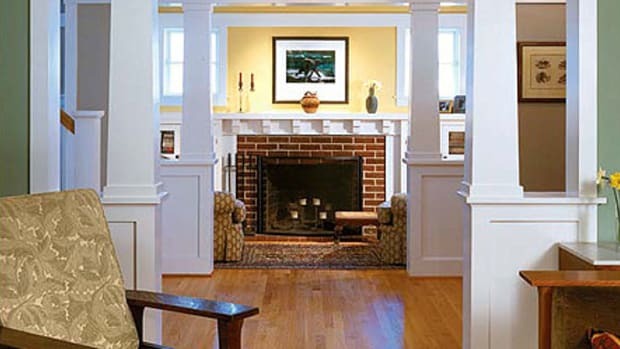 When the homeowners moved in, the colonnade between the living and dining rooms was missing its columns. The designer used the outlines of the lost originals to replace them. Barb and I both inherited Native American pottery and textiles, so we kept the wallpaper patterns deliberately simple in order to highlight our collections. We’ve since accumulated more Arts & Crafts Pottery: Saturday Evening Girls, vases, pots from the North Dakota School of Mines, and an organic Frederick Rhead Arequipa vase. Our furniture is mostly family hand-me-downs and flea-market finds, including a pair of Morris-style oak chairs with side bookcases, a white-oak highback settle with original leather upholstery, and a caned, wooden rocker. 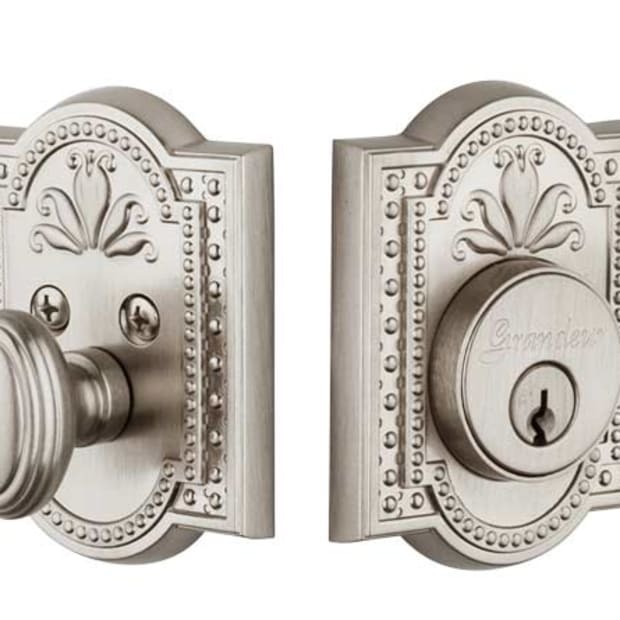 A Heartland antique style range and a vintage Kitchen Queen cabinet add to the period look. Clint Miller resolved many of the problem areas in the house with sensitive additions and edits. He designed columns to replace the ones lost in the living room’s colonnade, using the outlines which were fortunately still visible on the bookcase tops as a guide. But Clint saved his best work for the kitchen. He created extra room for a central cooking island and breakfast nook by enclosing the back porch and removing a blind, back staircase. 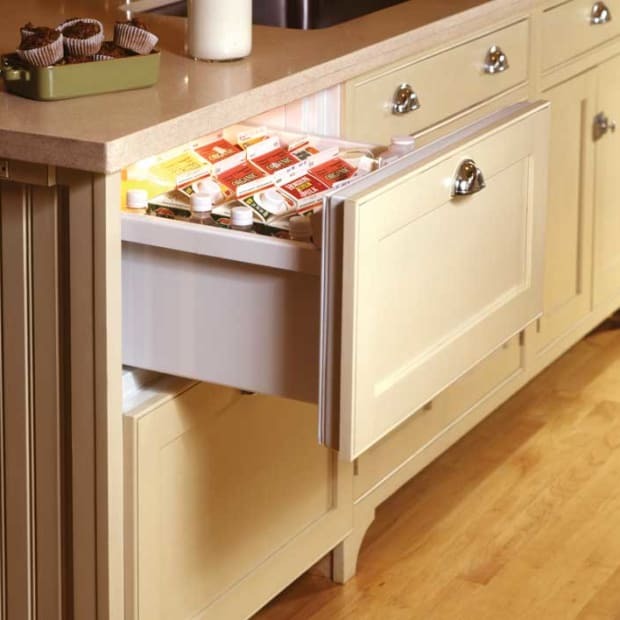 The vertical grain fir cabinets and mouldings are patterned after woodwork elsewhere in the house, and a built-in, leaded glass hutch is based on the design of the living room cabinets. 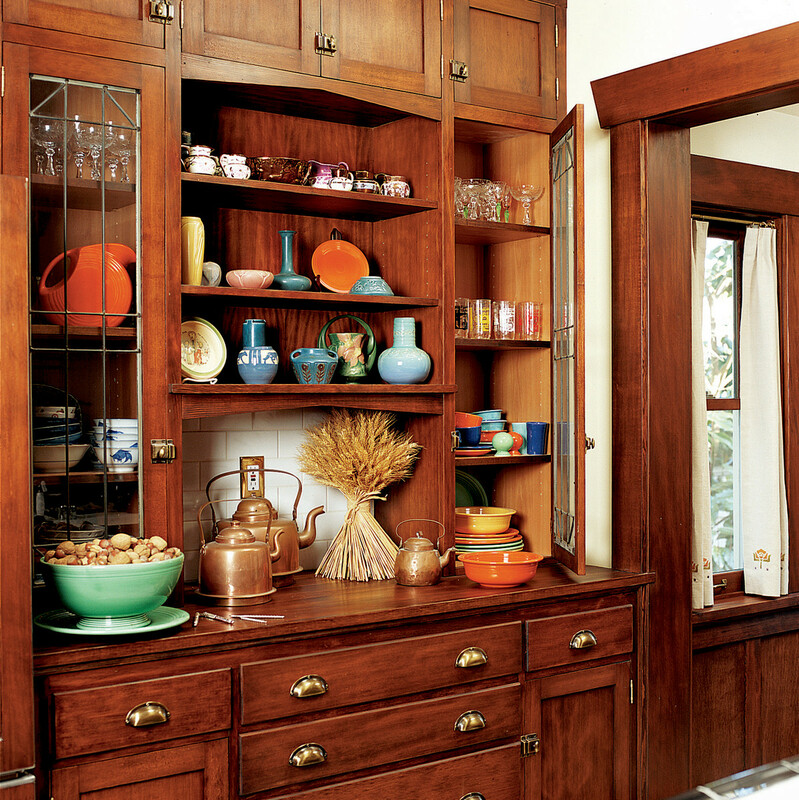 The built-in kitchen hutch was copied from the design of the living room’s bookcases, and holds an assortment of Fiesta Ware. 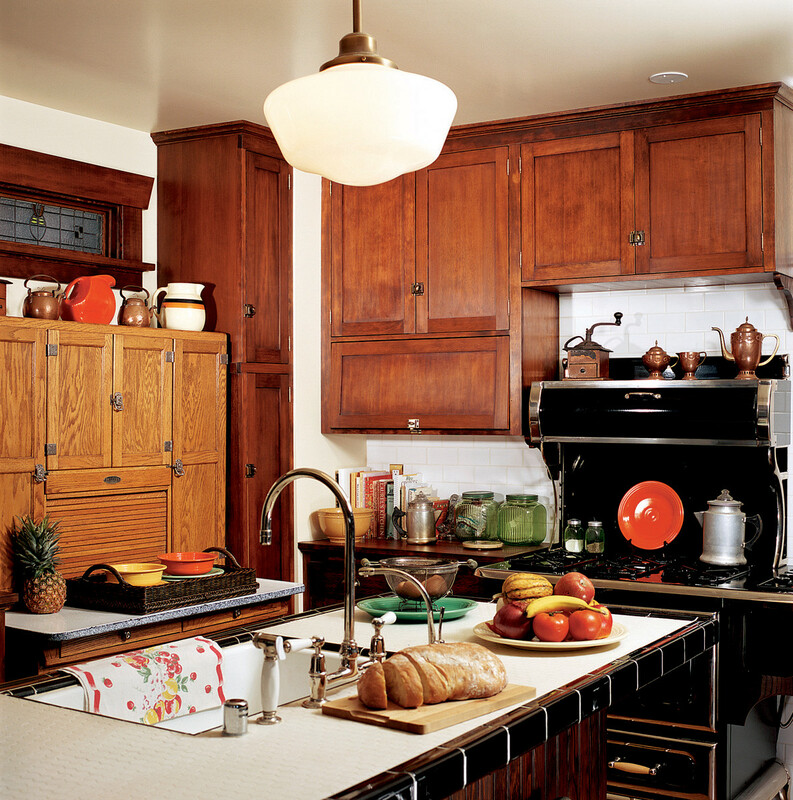 A top-nailed oak floor, antique Kitchen Queen cabinet, and a period-friendly Heartland range enhance the old-house feel. Filled with colorful Fiesta Ware and a collection of Depression-era percolators, the kitchen is the now the best spot in the house for early morning coffee and watching the birds in the garden. 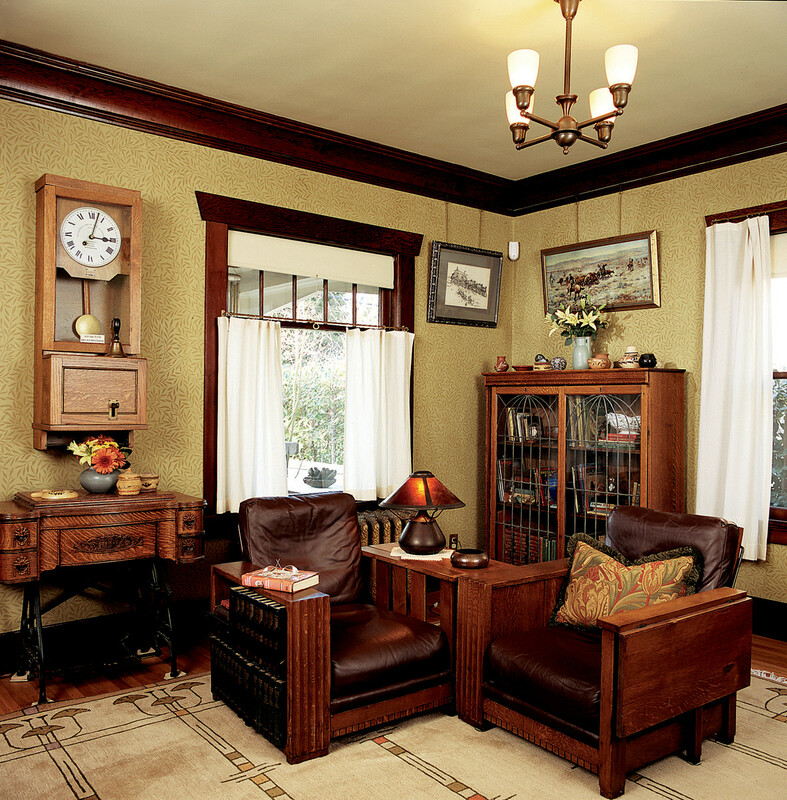 It’s a simple, honest house, with a timeless feel, just what Arts & Crafts is all about.